Treatment simulation: R.N. 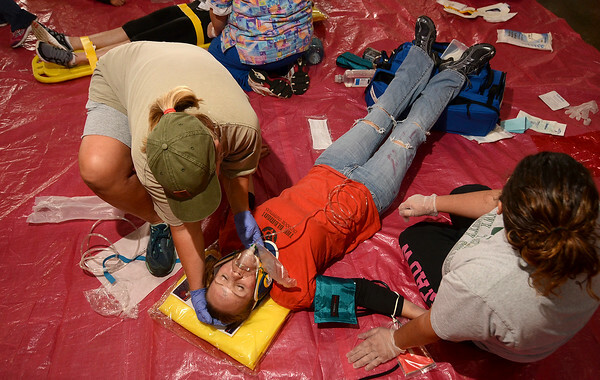 Corree Haley poses as a patient that has been injured in a collision that involves hazardous material during a simulation at the Ivy Tech Community College Learning Achievement Building on Thursday. Assisting Haley are nursing students Janet Smith and Julena Garner.